Today, I am reminded as our new President is inaugurated, who really is in control and calls all the shots. “My first wish is to have my physician bring my coffin home alone. After a gasping for air, Alexander continued: “My second wish is scatter the gold, silver, and gems from my treasure-house along the path to the tomb when you ship my coffin to the grave.” After wrapping in a woolen blanket and resting for a while, he said: “My final wish it to put my hands outside the coffin.” People surrounding him all were very curious, but no one dare to ask the reason. Alexander’s most favored general kissed his hand and asked: “My Majesty, We will follow your instruction. But can you tell us why you want us to do it this way?” After taking a deep breath, Alexander said: “I want everyone to understand the three lessons I have learned. To let my physician carry my coffin alone is to let people realize that a physician cannot really cure people’s illness. Especially when they face death, the physicians are powerless. I hope people will learn to treasure their lives. My second wish is to tell people not to be like me in pursuing wealth. I spent my whole life pursuing wealth, but I was wasting my time most of the time. My third wish to let people understand that I came to this world in empty hands and I will leave this world also in empty hands.” Alexander's eyes closed in death. 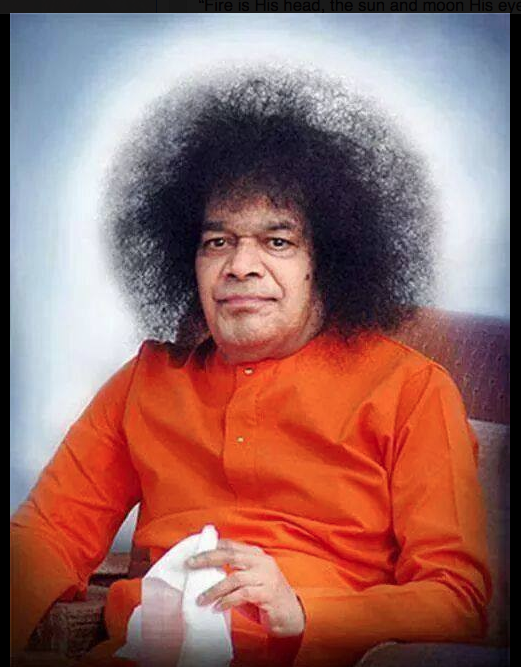 In 2009, I practiced a hymn that I love dearly "This is my Father's world," to sing at a Sai Baba function. Later in the year, my father became very ill. For about three weeks he could not keep down food or liquids. He had esophageal cancer. Right before our father passed away, my sister put on a cd of hymns that played continuous random songs. It was Halloween eve and we all prayed he would not pass on this night of ghouls and goblins. His Soul waited till the morning of All Saints Day, November 1st. When my sister informed me he had passed, David and I came over to say prayers and bid him Godspeed. As we gazed on his still form, chanting mantras and Oms. Suddenly, the cd that had been on all night began playing: This is my Father's world. Thrills of bliss filled my heart for in that instant I knew our Lord Sai was with him. We must never forget God is with us. He is here in our darkest hour. He is here, when we have lost all hope. He is here, eternally and forever, have faith.